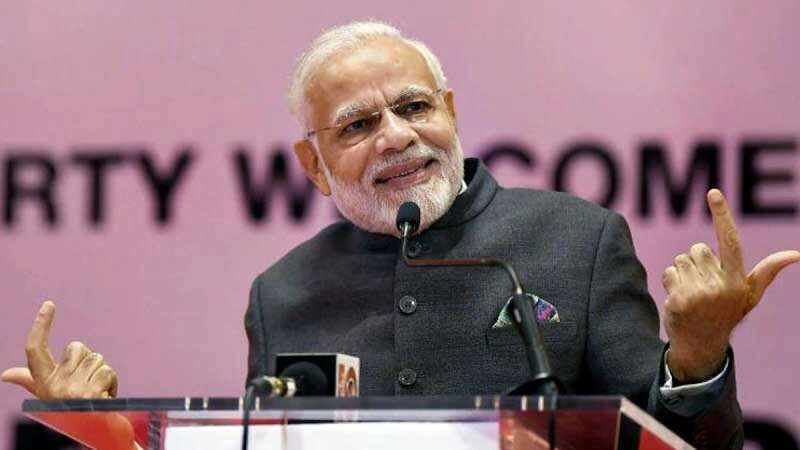 Kanpur : Launching a scathing attack on the Opposition, Prime Minister Narendra Modi on Friday said that they are appeasing Pakistan by asking evidence to prove damage inflicted on the Jaish-e-Mohammed (JeM) training camp at Balakot by Indian Air Force (IAF) Air Strike. “But this is our people asking for proof. The trust of 130-crore people is my proof. Please stop playing games that make Pakistan happy,” PM Modi told Opposition. Other than the Opposition, the family of two martyred CRPF soldiers have also raised demands of showing the proof. “In Pulwama, we saw someone’s hands, someone’s limbs, we need to see something from the other side. Someone took responsibility for the bomb attack almost immediately. I am sure the strikes have happened but where have they done it? There should be clear proof,” a leading portal quoted Ram Raksha, the sister of martyr Ram Vakeel as saying. On February 26, Indian Air Force (IAF) Mirage fighter jet had dropped nearly 1000 kgs of bomb on the terror camps in the Balakot region. The Indian Army clarified that it was a ‘non-military pre-emptive air strike’ to avenge the Pulwama terror attack in which 40 CRPF jawans were martyred.